A machinist is faced with many questions while selecting the proper tool for their job. One key decision that must be made is whether a material specific tool is appropriate and necessary for the application that’s going to be performed – whether the benefits of using this type of tool outweigh the higher price tag than that of a tool designed for use in a variety of materials. There are four main categories to consider when deciding whether a material specific tool is your best bet: internal tool geometry, coatings, material removal rates (MRR), and cost. Are you a machinist in a shop that deals primarily with one type of material? Or, do you generally change materials frequently throughout the day? Further, how many parts do you make at a time? These are questions you must ask yourself prior to making a tooling decision. Material Specific Tooling is best utilized where several parts are being machined of the same material. For instance, if your shop is machining 1,000 plastic parts, it would be in your best interest to opt for a tool designed for this material as your tooling would not only last longer but perform better. 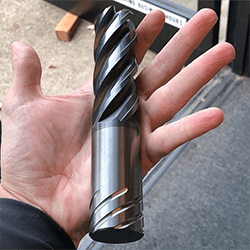 If machining flexibility is paramount for your shop, if you’re only machining a few parts, or if part finish is not of high importance, a regular end mill may suffice. There are pros and cons to purchasing a Material Specific Tool. Tool geometry designed for the material you’re working in to achieve the best results. Coating optimized for the material you’re cutting. 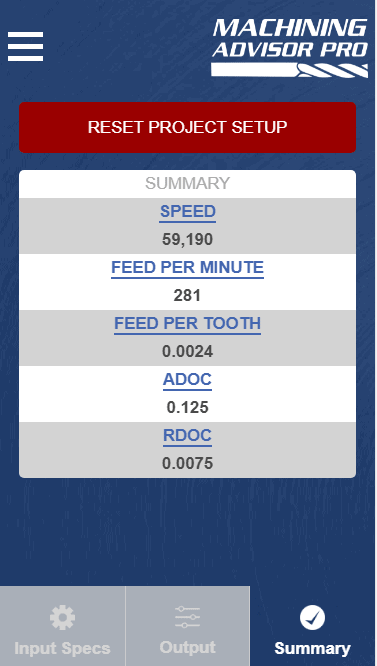 More aggressive speeds and feeds, and boosted MRR as a result. Higher upfront cost, though long term savings are possible if used in proper situations. Many manufacturers supply tooling designed for use in specific material buckets. 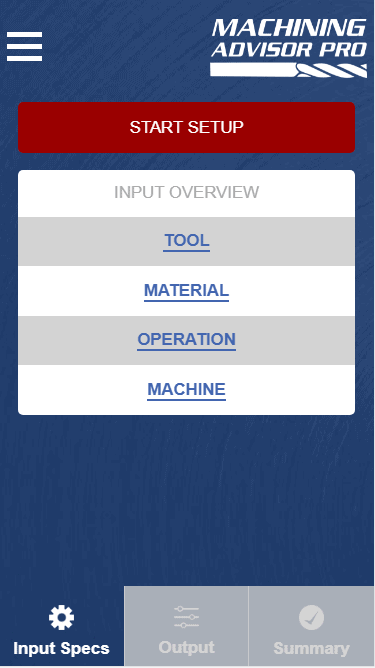 For instance, Harvey Tool has distinct catalog sections for material specific tooling for Hardened Steels, Exotic Alloys, Medium Alloy Steels, Free Machining Steels, Aluminum Alloys, Plastics, Diamond Tooling for Non-Ferrous Materials, and Composites. The special geometry of tools found in these sections is optimized to allow the tool to perform optimally in its select material group. For instance, a machinist may be faced with a dilemma while preparing to machine a plastic part. While an end mill found in Harvey Tool’s Miniature End Mill section could certainly machine this material, Harvey Tool’s end mill offering designed to machine plastics feature a high rake, high relief design. This is ideal for plastics because you want to effectively cut and form chips while the strength of the tool is less of a concern. The high rake and high relief creates a sharp cutting edge that would quickly break down in metals. However, in plastics, this effectively shears the material and transfers the heat into the chip to produce a great finish in your part. One key benefit of opting for a material specific tool is the ability to utilize the best coating option available for that material. Tool coatings serve many functions, including improved lubricity, increased tool life, and a higher-quality part finish. In addition, coated tools can typically be run around 10% faster than uncoated tools. 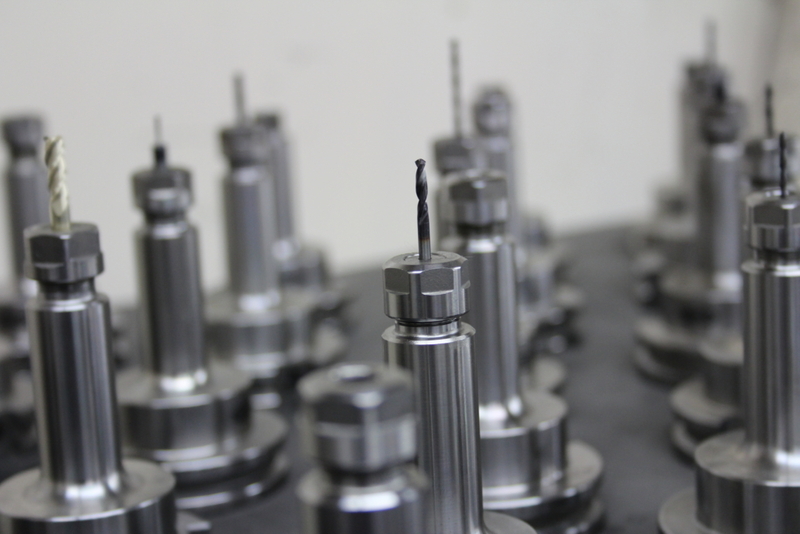 While many manufacturers will specially coat a standard end mill at your request, this takes added time and cost. In its Material Specific catalog sections, Harvey Tool offers coated tools stocked and ready to ship. For instance, their Hardened Steels and Exotic Alloys categories utilize AlTiN Nano coating. This is a unique nanocomposite coating that has a max working temperature of 2,100° F and shows improved performance in materials such as Hardened Steels, Titantium Alloys, and Inconel, among others. Because Material Specific Tooling features optimal tool geometry for a job, running parameters are generally able to be more aggressive. Any machinist knows that Material Removal Rates (MRR), is the metric that’s most closely related to shop efficiency, as the more material removed from a part in a given period of time, the faster parts are made and the higher the shop output. The following example compares running parameters of end mills from Harvey Tool’s Miniature End Mill and Material Specific End Mill Sections. You can notice that while key geometries between the two tools are identical, and are in use in the same material with the same operation, the chip load (+25%), linear feed rate (+33%), and depth of cut (+43%) are boosted. This allows for more material to be removed in a shorter period of time. 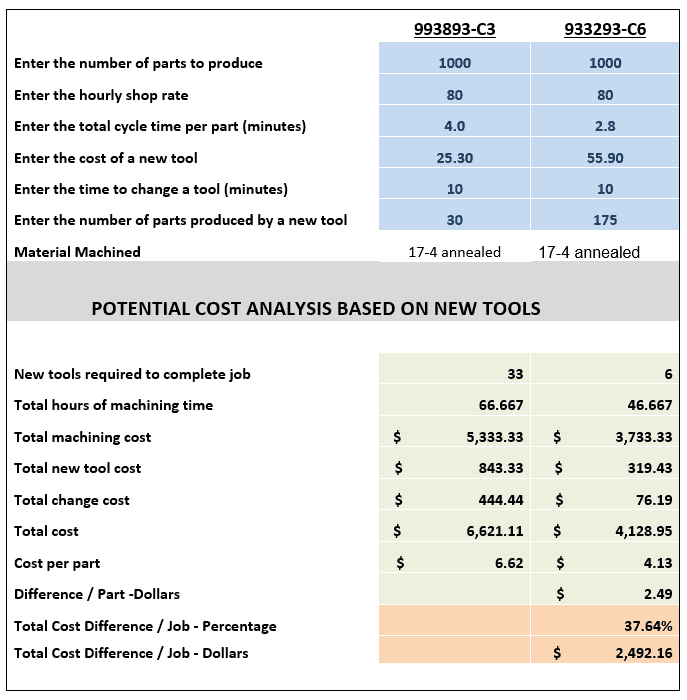 The following chart displays a cost analysis breakdown between a tool found in the Miniature End Mill section, item 993893-C3; and a tool found in the Material Specific End Mill section, item 933293-C6. When compared for the machining of 1,000 parts, the overall savings is nearly $2,500. In conclusion, Material Specific End Mills have many benefits, but are best utilized in certain situations. While the initial cost of these tools are higher, they can work to save your shop time and money in the long run by lasting longer and producing more parts over a given period of time. Do you know the key differences between a Single Form Thread Mill and a Multi-Form Thread Mill? Do you know which tooling option is best for your job? This blog post examines how several factors, including the tool’s form and max depth of thread, are important to ultimately making the appropriate Harvey Tool thread mill decision. The single form thread mill is the most versatile threading solution Harvey Tool offers. These tools are ground to a sharp point and are capable of milling 60° thread styles, such as UN, metric, and NPT threads. With over 14 UN and 10 Metric sized tools, Harvey Tool’s single form selections allow machinists the opportunity to machine many different types of threads. Ground Flat – Instead of a sharp point these tools have a ground flat to help ensure long tool life. Eccentric Relief – Gives the cutting edges extra strength for the high feeds at relatively low RPMs required for harder materials. AlTiN Nano Coating – Allows for superior heat resistance. A key difference between the standard Single Form Thread Mill and the Single Form Thread Mills for Hardened Steels is that the thread mills for hardened steels are actually only capable of milling 83% of the actual thread depth. At first, this may seem detrimental to your operation. However, according to the Machinery’s Handbook 29th Edition, “Tests have shown that any increase in the percentage of full thread over 60% does not significantly increase the strength of the thread. Often, a 55% to 60% thread is satisfactory, although 75% threads are commonly used to provide an extra margin of safety.” With the ability to preserve tool life and effectively perform thread components, Harvey Tool’s single form thread mills for hardened steels are a natural choice when tackling a hardened material. Tri-Form thread mills are designed for difficult-to-machine materials. The tri-form design reduces tool pressure and deflection, which results in more accurate threading. Its left-hand cut, left-hand spiral design allows it to climb mill from the top of the thread to the bottom. Our multi-form thread mills are offered in styles such as UN, NPT, and Metric. Multi-Form Thread Mills are optimized to produce a full thread in single helical interpolation. Additionally, they allow a machinist to quickly turn around production-style jobs. Coolant-Through Multi Form Thread Mills are the perfect tool for when a job calls for thread milling in a blind hole. The coolant through ability of the tool produces superior chip evacuation. These tools also improve coolant flow to the workpiece – delivering it directly from the tip of the tool – for decreased friction and high cutting speeds. These tools are great when a job calls for a deep thread, due to their long flute. Long Flute Thread Mills also have a large cutter diameter and core, which provides the tool with improved tool strength and stability. While it may seem obvious, N.P.T. Multi-Form Thread Mills are perfect for milling NPT threads. NPT threads are great for when a part requires a full seal, different from traditional threads that hold pieces together without the water-tight seal. Breaking and damaging an end mill is oftentimes an avoidable mistake that can be extremely costly for a machine shop. To save time, money, and your end mill it is important to learn some simple tips and tricks to extend your tool’s life. The first step of any machining job is selecting the correct end mill for your material and application. However, this doesn’t mean that there should not be an adequate amount of legwork done beforehand to ensure the right decision on a tool is being made. Harvey Tool and Helical Solutions have thousands of different tools for different operations – a vast selection which, if unprepared – can easily result in selecting a tool that’s not the best for your job. To start your preparation, answer the 5 Questions to Ask Before Selecting an End Mill to help you quickly narrow down your selection and better understand the perfect tool you require. 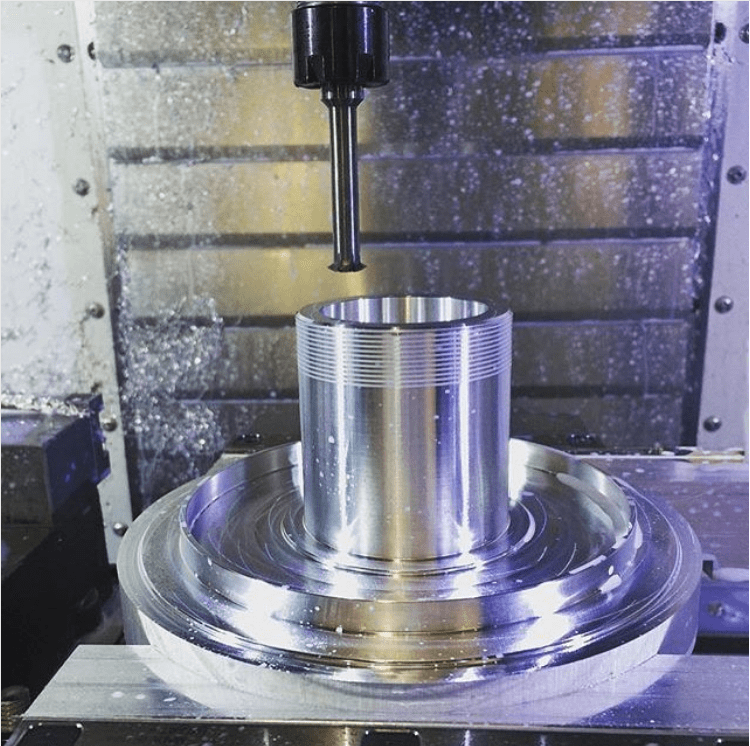 It’s important to understand not only what your tool needs, but also general best practices to avoid common machining mishaps. For instance, it is important to use a tool with a length of cut only as long as needed, as the longer a tools length of cut is, the greater the chance of deflection or tool bending, which can decrease its effective life. Another factor to consider is the coating composition on a tool. Harvey Tool and Helical Solutions offer many varieties of coatings for different materials. Some coatings increase lubricity, slowing tool wear, while others increase the hardness and abrasion resistance of the tool. Not all coatings increase your tool’s life in every material, however. Be wary of coatings that don’t perform well in your part’s material – such as the use of AlTiN coating in Aluminum (Both coating and material are aluminum-based and have a high affinity for each other, which can cause built-up edge and result in chip evacuation problems). A feature on many of our high performance end mills is variable helix or variable pitch geometry, which have differently-spaced flutes. As the tool cuts, there are different time intervals between the cutting edges contacting the workpiece, rather than simultaneously on each rotation. The varying time intervals minimizes chatter by reducing harmonics, increasing tool life and producing better results. Another factor in prolonging tool life is proper tool holding. A poor tool holding strategy can cause runout, pullout, and scrapped parts. Generally, the most secure connection has more points of contact between the tool holder and tool shank. Hydraulic and Shrink Fit Tool Holders provide increased performance over other tightening methods. Helical also offers shank modifications to all stocked standards and special quotes, such as the ToughGRIP Shank, which provides added friction between the holder and the shank of the tool for a more secure grip; and the Haimer Safe-Lock™, which has grooves on the shank of the tool to help lock it into place in a tool holder. After selecting the correct end mill for your job, the next step is to run the tool at the proper speeds and feeds. Understanding the ideal speed to run your machine is key to prolonging tool life. If you run your tool too fast, it can cause suboptimal chip size, ineffective chip evacuation, or even total tool failure. Adversely, running your tool too slowly can result in deflection, bad finish, or decreased metal removal rates. Another critical parameter of speeds and feeds is finding the best possible feed rate for your job, for sake of both tool life and achieving maximum shop efficiency. Pushing your tool too aggressively can result in breakage, but being too conservative can lead to recutting chips and excess heat generation, accelerating tool wear. A manufacturer’s speeds and feeds calculations take into account every tool dimension, even those not called out in a catalog and readily available to machinists. Because of this, it’s best to rely on running parameters from tooling manufacturers. 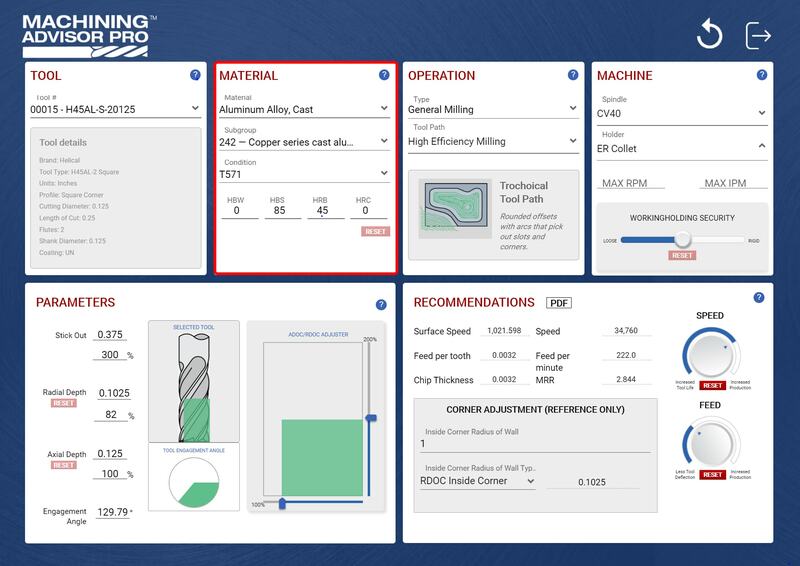 Harvey Tool offers speeds and feeds charts for every one of its more than 21,000 tools featured in its catalog, helping machinists to confidently run their tool the first time. Harvey Performance Company offers the Machining Advisor Pro application, a free, cutting-edge resource that generates custom running parameters for optimized machining with all of Helical’s products. There are two ways to cut material when milling: Climb Milling and Conventional Milling. 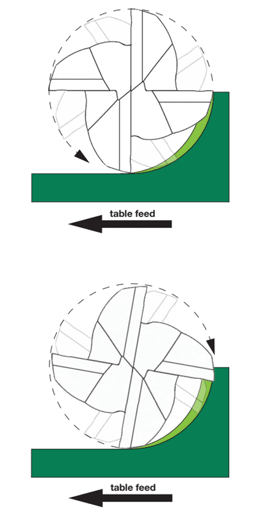 In conventional milling, the cutter rotates against the feed. In this method, chips will start at theoretical zero and increase in size. Conventional milling is usually recommended for tools with higher toughness, or for breaking through case hardened materials. In Climb Milling, the cutter rotates with the feed. Here, the chips start at maximum width and decrease, causing the heat generated to transfer into the chip instead of being left in the tool or work piece. Climb milling also produces a cleaner shear plane, causing less rubbing, decreasing heat, and improving tool life. When climb milling, chips will be removed behind the cutter, reducing your chances of recutting. High Efficiency Milling (HEM), is a roughing technique that uses the theory of chip thinning by applying a smaller radial depth of cut (RDOC) and a larger axial depth of cut (ADOC). The parameters for HEM are similar to that of finishing, but with increased speeds and feeds, allowing for higher material removal rates (MRR). HEM utilizes the full length of cut instead of just a portion of the cutter, allowing heat to be distributed across the cutting edge, maximizing tool life and productivity. This reduces the possibility of accelerated tool wear and breakage. Coolant can be an extremely effective way to protect your tool from premature wear and possible tool breakage. There are many different types of coolant and methods of delivery to your tool. Coolant can come in the form of compressed air, water-based, straight oil-based, soluble oil-based, synthetic or semi-synthetic. It can be delivered as mist, flood, high pressure or minimum quantity lubricant. Appropriate coolant type and delivery vary depending on your application and tool. For example, using a high pressure coolant with miniature tooling can lead to tool breakage due to the fragile nature of extremely small tools. In applications of materials that are soft and gummy, flood coolant washes away the long stringy chips to help avoid recutting and built-up edge, preventing extra tool wear. The ability to maximize tool life saves you time, money and headaches. To get the best possible outcome from your tool, you first need to be sure you’re using the best tool for your job. Once you find your tool, ensure that your speeds and feeds are accurate and are from your tooling manufacturer. Nobody knows the tools better than they do. Finally, think about how to run your tool: the rotation of your cutter, whether utilizing an HEM approach is best, and how to introduce coolant to your job. Any cutting tool application will generate heat, but knowing how to counteract it will improve the life of your tool. Heat can be good and doesn’t need to totally be avoided, but controlling heat will help prolong your tool life. Sometimes, an overheating tool or workpiece is easy to spot due to smoke or deformation. Other times, the signs are not as obvious. Taking every precaution possible to redirect heat will prolong your tool’s usable life, avoid scrapped parts, and will result in significant cost savings. High Efficiency Milling (HEM), is one way a machinist should explore to manage heat generation during machining. HEM is a roughing technique that uses the theory of chip thinning by applying a smaller radial depth of cut (RDOC) and a larger axial depth of cut (ADOC). HEM uses RDOC and ADOC similar to finishing operations but increases speeds and feeds, resulting in greater material removal rates (MRR). This technique is usually used for removing large amounts of material in roughing and pocketing applications. HEM utilizes the full length of cut and more effectively uses the full potential of the tool, optimizing tool life and productivity. 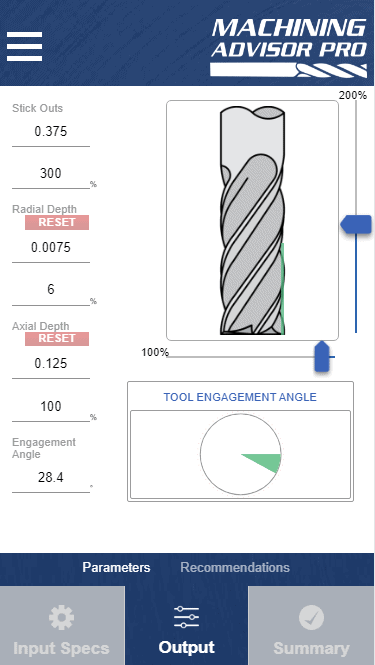 You will need to take more radial passes on your workpiece, but using HEM will evenly spread heat across the whole cutting edge of your tool, instead of building heat along one small portion, reducing the possibility of tool failure and breakage. 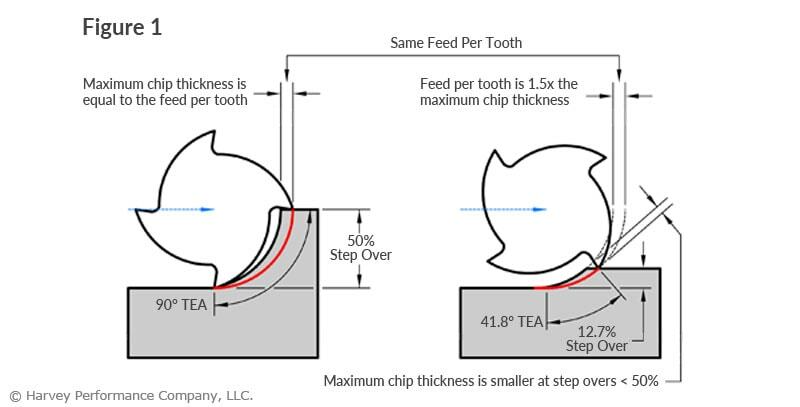 Chip thinning occurs when tool paths include varying radial depths of cut, and relates to chip thickness and feed per tooth. HEM is based off of the principal of chip thinning. However, if not properly executed, chip thinning can cause a lot of heat generation. When performing HEM, you effectively reduce your stepover and increase your speeds and feeds to run your machine at high rates. But if your machine isn’t capable of running high enough speeds and feeds, or you do not adjust accordingly to your reduced stepover, trouble will occur in the form of rubbing between the material and tool. Rubbing creates friction and mass amounts of heat which can cause your material to deform and your tool to overheat. Chip thinning can be good when used correctly in HEM, but if you fall below the line of reduced stepover without higher speeds and feeds, you will cause rubbing and tool failure. Because of this, it’s always important to be aware of your chips during machining. There are two ways to cut materials when milling: conventional milling and climb milling. The difference between the two is the relationship of the rotation of the cutter to the direction of feed. In climb milling, the cutter rotates with the feed, as opposed to conventional milling where the cutter rotates against the feed. When conventional milling, chips start at theoretical zero and increase in size, causing rubbing and potentially work hardening. For this reason, it’s usually recommended for tools with higher toughness or for breaking through case hardened materials. In climb milling, the chip starts at maximum width and decreases, causing the heat generated to transfer into the chip instead of the tool or workpiece. When going from max width to theoretical zero, heat will be transferred to the chip and pushed away from the workpiece, reducing the possibility of damage to the workpiece. Climb milling also produces a cleaner shear plane which will cause less tool rubbing, decreasing heat and improving tool life. When climb milling, chips are removed behind the cutter, reducing your chances of re-cutting. climb milling effectively reduces heat generated to the tool and workpiece by transferring heat into the chip, reducing rubbing and by reducing your chances of re-cutting chips. If used properly, coolant can be an extremely effective way to keep your tool from overheating. There are many different types of coolant and different ways coolant can be delivered to your tool. Coolant can be compressed air, water-based, straight oil-based, soluble oil-based, synthetic or semi-synthetic. It can be delivered as mist, flood, high pressure or minimum quantity lubricant. Different applications and tools require different types and delivery of coolant, as using the wrong delivery or type could lead to part or tool damage. For instance, using high pressure coolant with miniature tooling could lead to tool breakage. In materials where chip evacuation is a major pain point such as aluminum, coolant is often used to flush chips away from the workpiece, rather than for heat moderation. When cutting material that produces long, stringy chips without coolant, you run the risk of creating built-up edge from the chips evacuating improperly. Using coolant will allow those chips to slide out of your toolpath easily, avoiding the chance of re-cutting and causing tool failure. In materials like titanium that don’t transfer heat well, proper coolant usage can prevent the material from overheating. With certain materials, however, thermal shock becomes an issue. This is when coolant is delivered to a very hot material and decreases its temperature rapidly, impacting the material’s properties. Coolant can be expensive and wasteful if not necessary for the application, so it’s important to always make sure you know the proper ways to use coolant before starting a job. Heat can be a tool’s worst nightmare if you do not know how to control it. High efficiency milling will distribute heat throughout the whole tool instead of one small portion, making it less likely for your tool to overheat and fail. By keeping RDOC constant throughout your toolpath, you will decrease the chances of rubbing, a common cause of heat generation. Climb milling is the most effective way to transfer heat into the chip, as it will reduce rubbing and lessen the chance of re-chipping. This will effectively prolong tool life. Coolant is another method for keeping temperatures moderated, but should be used with caution as the type of coolant delivery and certain material properties can impact its effectiveness. 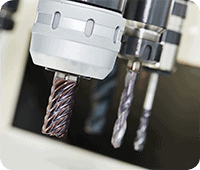 Thread milling can present a machinist many challenges. While thread mills are capable of producing threads with relative ease, there are a lot of considerations that machinists must make prior to beginning the job in order to gain consistent results. To conceptualize these features and choose the right tool, machinists must first understand basic thread milling applications. The primary function of a thread is to form a coupling between two different mechanisms. Think of the cap on your water bottle. The cap couples with the top of the bottle in order to create a water tight seal. This coupling can transmit motion and help to obtain mechanical advantages. Below are some important terms to know in order to understand threads. Root – That surface of the thread which joins the flanks of adjacent thread forms and is immediately adjacent to the cylinder or cone from which the thread projects. Flank – The flank of a thread is either surface connecting the crest with the root. The flank surface intersection with an axial plane is theoretically a straight line. Crest – This is that surface of a thread which joins the flanks of the thread and is farthest from the cylinder or cone from which the thread projects. Pitch – The pitch of a thread having uniform spacing is the distance measured parallelwith its axis between corresponding points on adjacent thread forms in the same axial plane and on the same side of the axis. Pitch is equal to the lead divided by the number of thread starts. Major Diameter – On a straight thread the major diameter is that of the major cylinder.On a taper thread the major diameter at a given position on the thread axis is that of the major cone at that position. Minor Diameter – On a straight thread the minor diameter is that of the minor cylinder. On a taper thread the minor diameter at a given position on the thread axis is that of the minor cone at that position. Helix Angle – On a straight thread, the helix angle is the angle made by the helix of the thread and its relation to the thread axis. On a taper thread, the helix angle at a given axial position is the angle made by the conical spiral of the thread with the axis of the thread. The helix angle is the complement of the lead angle. 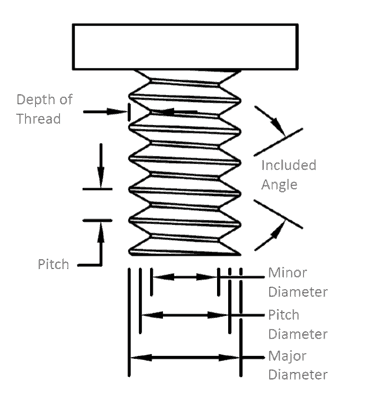 Depth of Thread Engagement – The depth (or height) of thread engagement between two coaxially assembled mating threads is the radial distance by which their thread forms overlap each other. External Thread – A thread on a cylindrical or conical external surface. Internal Thread – A thread on a cylindrical or conical internal surface. Class of Thread – The class of a thread is an alphanumerical designation to indicate the standard grade of tolerance and allowance specified for a thread. ISO Metric, American UN: This thread type is used for general purposes, including for screws. Features a 60° thread form. British Standard, Whitworth: This thread form includes a 55° thread form and is often used when a water tight seal is needed. NPT: Meaning National Pipe Tapered, this thread, like the Whitworth Thread Form, is also internal. See the above video for an example of an NPT thread. UNJ, MJ: This type of thread is often used in the Aerospace industry and features a radius at the root of the thread. ACME, Trapezoidal: ACME threads are screw thread profiles that feature a trapezoidal outline, and are most commonly used for power screws. Threads must hold certain tolerances, known as thread designations, in order to join together properly. International standards have been developed for threads. Below are examples of Metric, UN, and Acme Thread Designations. It is important to note that not all designations will be uniform, as some tolerances will include diameter tolerances while others will include class of fit. For this UN Thread Designation, ¾ refers to the thread’s major diameter, where 10 references the number of threads per inch. UNC stands for the thread series; and 2A means the class of thread. The “A” is used to designate external threads, while “B” is for internal threads. For these style threads, there are 6 other classes of fit; 1B, 2B, and 3B for internal threads; and 1A, 2A, and 3A for external threads. For this ACME Thread Designation, A refers to “Acme,” while 1 is the number of thread starts. The basic major diameter is called out by 025 (Meaning 1/4”) while 20 is the callout for number of threads per inch. X is a placeholder for a number designating the purpose of the thread. A number 1 means it’s for a screw, while 2 means it’s for a nut, and 3 refers to a flange. Threads are measured using go and no-go gauges. These gauges are inspection tools used to ensure the that the thread is the right size and has the correct pitch. The go gauge ensures the pitch diameter falls below the maximum requirement, while the no-go gauge verifies that the pitch diameter is above the minimum requirement. These gauges must be used carefully to ensure that the threads are not damaged. Thread milling is the interpolation of a thread mill around or inside a workpiece to create a desired thread form on a workpiece. Multiple radial passes during milling offer good chip control. Remember, though, that thread milling needs to be performed on machines capable of moving on the X, Y, and Z axis simultaneously. There is no substitute for adequate tooling. To avoid tool failure and machining mishaps, opt for a quality manufacturer for High Performance Drills for your starter holes, as well as for your thread milling solutions. Harvey Tool fully stocks several types of threadmills, including Single Form, Tri-Form, and Multi-Form Thread Milling Cutters. In addition, the 60° Double Angle Shank Cutter can be used for thread milling. Choose only a cutter diameter as large as you need. A smaller cutter diameter will help achieve higher quality threads. Your chosen tool path will determine left hand or right hand threads. Right-hand internal thread milling is where cutters move counterclockwise in an upwards direction to ensure that climb milling is achieved. Left-hand internal thread milling a left-hand thread follows in the opposite direction, from top to bottom, also in a counterclockwise path to ensure that climb milling is achieved. In difficult applications, using more passes may be necessary to achieve desired quality. Separating the thread milling operation into several radial passes achieves a finer quality of thread and improves security against tool breakage in difficult materials. In addition, thread milling with several radial passes also improves thread tolerance due to reduced tool deflection. This gives greater security in long overhangs and unstable conditions. Are you taking the necessary steps to avoid chip recutting due to inefficient chip evacuation? If not, your thread may fall out of tolerance. Opt for a strategy that includes coolant, lubricant, and tool retractions. Just looking at a threading tool can be confusing – it is sometimes hard to conceptualize how these tools are able to get the job done. But with proper understanding of call, methods, and best practices, machinists can feel confident when beginning their operation. Keyseat Cutters, also known as Woodruff Cutters, Keyway Cutters, and T-Slot Cutters, are commonly used in machine shops. Many machinists opt to use this tool to put a slot on the side of a part in an efficient manner, rather than rotating the workpiece and using a traditional end mill. A Staggered Tooth Keyseat Cutter has alternating right-hand and left hand shear flutes and is right-hand cut, whereas a traditional keyseat cutter has all straight flutes and is right-hand cut. Simply, the unique geometry of a Staggered Tooth Keyseat Cutter gives the tool its own set of advantages including the ability to index within the slot, increase feed rates, and achieve better part finish. The alternating right-and-left-hand flutes of a Harvey Tool Staggered Tooth Keyseat Cutters are relieved on both sides of its head, meaning that it allows for both end cutting and back cutting. This adds to the versatility of the staggered tooth keyseat cutter, where one singular tool can be indexed axially within a slot to expand the slot to a specific uncommon dimension. This can save space in a machinist’s magazine and reduce machine time by eliminating the need to swap to a new tool. Due to the unique geometry of a Staggered Tooth Keyseat Cutter, chips evacuate efficiently and at a faster rate than that of a Straight Flute Keyseat Cutter. The unique flutes of Staggered Tooth Keyseat Cutters are a combination of right-and-left-hand shear flutes, but both types are right-hand cutting. This results in the tool’s teeth alternating between upcut and downcut. 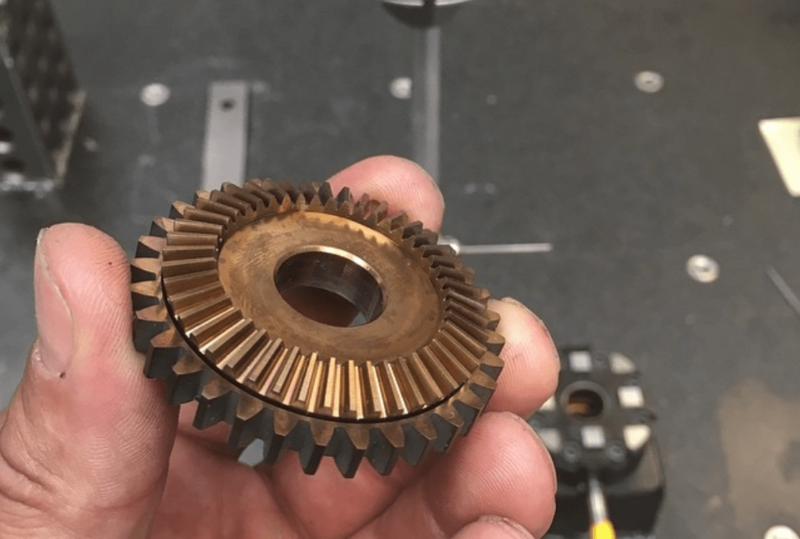 Chip packing and chip recutting is less of a concern with running this tool, and results in increased chip loads compared to that of a standard keyseat with the same number of flutes. Because of this, the tool can account for chiploads of about 10% higher than the norm, resulting in heightened feed rates and shorter cycle times overall. Staggered Tooth Keyseat Cutters have “teeth”, or flutes, that are ground at an angle creating a shear flute geometry. 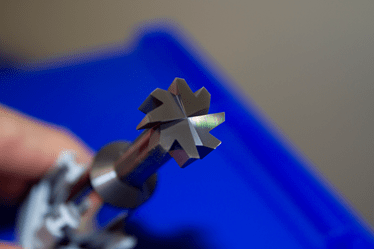 This geometry minimizes chip recutting, chip dragging and reduces the force needed to cut into the material. Chip recutting and dragging are minimized because chips are evacuated out of the top and bottom of the head on the side of the cutter that is not engaged in the material. 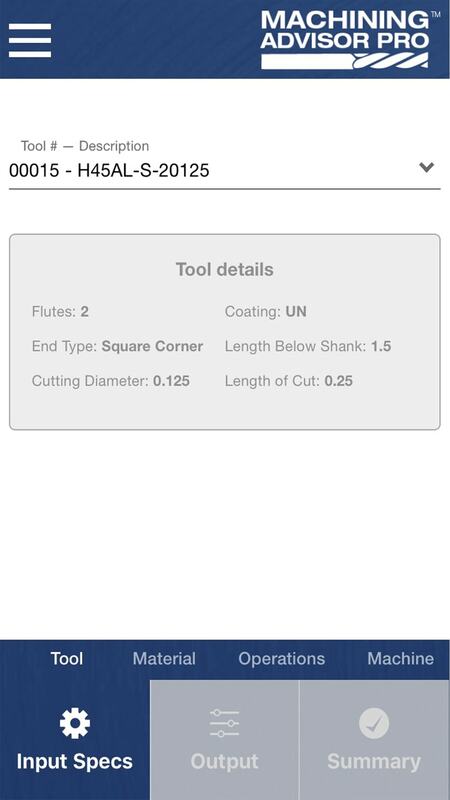 Shear flutes also reduce vibrations that can lead to chatter and poor finish. By minimizing cutting forces, vibration, and chatter, a machinist can expect a better part finish. On top of the higher performance one will experience when using the Stagger Tooth Keyseats, there are also multiple options available with various combinations to suit multiple machining needs. This style is offered in a square and corner radius profile which helps if a fillet or sharp corner is needed. There are also multiple cutter diameters ranging from 1/8” to 5/8”. The increased diameter comes with an increase of radial depth of cut, allowing deeper slots to be achievable. Within the most popular cutter diameters, ¼”, 3/8”, and ½” there are also deep slotting options with even greater radial depth of cuts for increased slot depths. On top of the diameters and radii, there are also multiple cutter widths to choose from to create different slots in one go. Finally, an uncoated and AlTiN coatings are available to further increase tool life and performance depending on the material that is being cut. A Staggered Tooth Keyseat Cutter adds versatility to a tool magazine. It can be indexed axially to expand slots to make multiple widths, allowing machinists to progress operations in a more efficient manner where tool changes are not required. Further, this tool will help to reduce harmonics and chatter, as well as minimize recutting. This works to create a smoother operation with less force on the cutter, resulting in a better finish compared to a Standard Keyseat Cutter. For more information on Harvey Tool Staggered Tooth Keyseat Cutters and its applications, visit Harvey Tool’s Keyseat Cutter page. B&R Custom Machining is a rapidly expanding aerospace machine shop located in Ontario, Canada, focused primarily on aerospace and military/defense manufacturing. 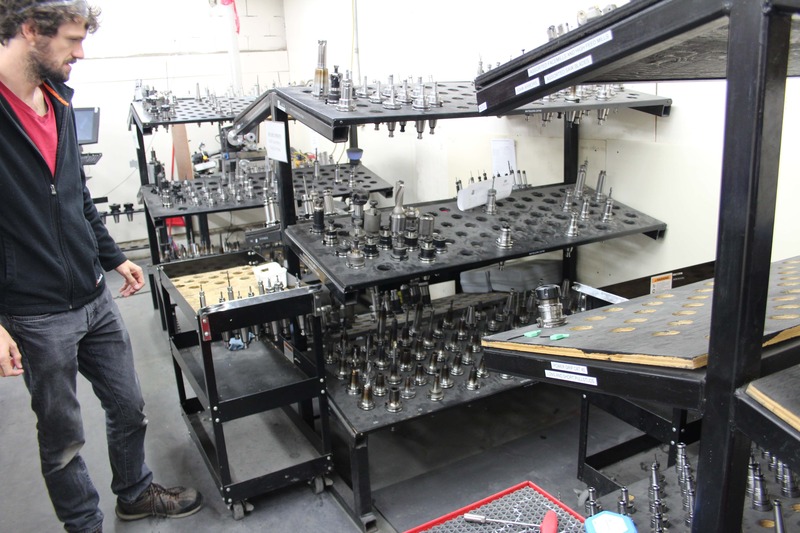 Over the past 17 years, B&R has grown from a 5 person shop with a few manual mills and lathes, into one of Canada’s most highly respected manufacturing facilities, with nearly 40 employees and 21 precision CNC machines. B&R focuses on quality assurance and constant improvement, mastering the intimacies of metal cutting and maintaining the highest levels of quality through their unique shop management philosophies. They seek to consistently execute on clear contracts through accurate delivery, competitive price, and high quality machined components. 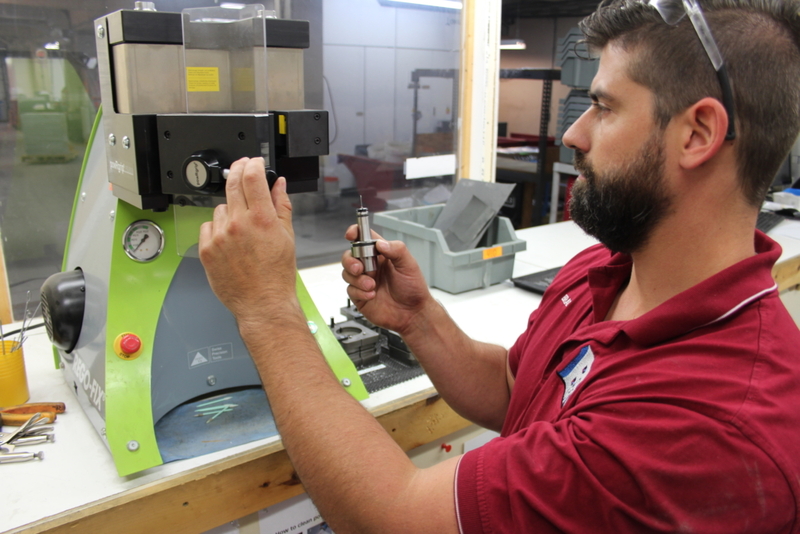 We talked with Brad Jantzi, Co-Founder and Technical Manager of B&R Custom Machining, to learn about how he started in the industry, his experience with High Efficiency Milling, what he looks for most in a cutting tool, and more! Can you tell us a little bit about how B&R Custom Machining started, and a little background about yourself and the company? My brother (Ryan Jantzi, CEO/Co-Founder) and I started working in manufacturing back in 2001, when we were just 20/21 years old. We had 5 employees (including ourselves), a few manual mills and lathes, and we were wrapping our parts in newspaper for shipping. We took over from a preexisting shop and assumed their sales and machines. We bought our first CNC machine in 2003, and immediately recognized the power of CNC and the opportunities it could open up for us. Now, we have 21 CNC machines, 38 employees, and more requests for work than we can keep up with, which is a good thing for the business. We are constantly expanding our team to elevate the business and take on even more work, and are currently hiring for multiple positions if anyone in Ontario is looking for some challenging and rewarding work! What kind of CNC machines are you guys working with? Right now we have a lot of Okuma and Matsuura machines, many of which have 5 axis capabilities, and all of them with high RPM spindles. In fact, our “slowest” machine runs at 15k RPM, with our fastest running at 46k. One of our high production machines is our Matsuura LX160, which has the 46k RPM spindle. We use a ton of Harvey Tool and Helical product on that machine and really get to utilize the RPMs. What sort of material are you cutting? We work with Aluminum predominantly, but also with a lot of super alloys like Invar, Kovar, Inconel, Custom 455 Stainless, and lots of Titanium. Some of those super alloys are really tricky stuff to machine. Once we learn about them and study them, we keep a recorded database of information to help us dial in parameters. Our head programmer/part planner keeps track of all that information, and our staff will frequently reference old jobs for new parts. Sounds like a great system you guys have in place. How did B&R Custom Machining get into aerospace manufacturing? It is a bit of a funny story actually. Just about 12 years ago we were contacted by someone working at Comdev, which is close to our shop, who was looking to have some parts made. We started a business relationship with him, and made him his parts. He was happy with the work, and so we eventually got involved in his company’s switch division and started to make more and more aerospace parts. 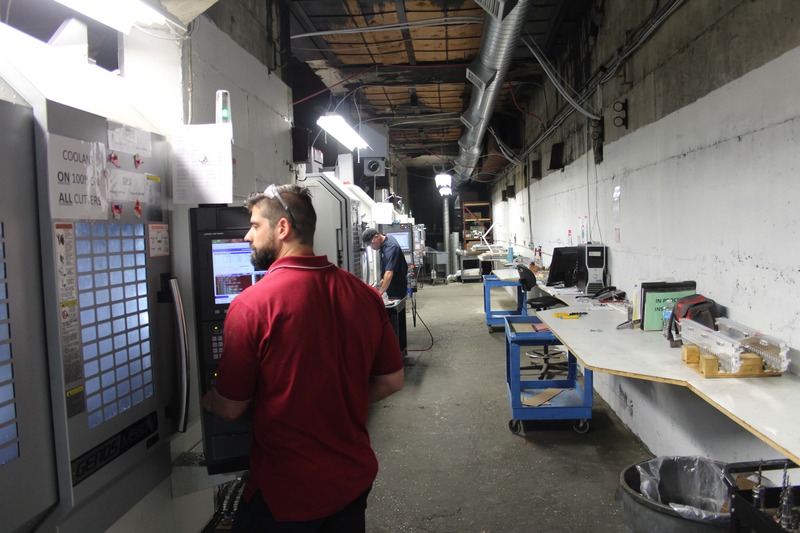 We immediately saw the potential of aerospace manufacturing, and it promoted where we wanted to go with CNC machining, so it was a natural fit. It really was a case of being in the right place at the right time and seizing the moment. If an opportunity comes up and you aren’t ready for it, you miss it. You have to be hungry enough to see an opportunity, and confident enough to grab it, while also being competent enough to handle the request. So, we took advantage of what we were given, and we grew and went from there. Who are some of the major players who you work with? We have great relationships with Honeywell, MDA Brampton, and MDA Quebec. We actually worked on parts for a Mars Rover with MDA that was commissioned by the Canadian Space Agency, which was really cool to be a part of. Working with large companies like that means quality is key. Why is high quality tool performance important to you? High quality and superior tool performance is huge. Aside from cutting conditions, there are two quick things that cause poor performance on a tool: tool life and consistency of the tool quality. One without the other means nothing. We all can measure tool life pretty readily, and there is a clear advantage that some tools have over others, but inconsistent quality can sneak up on you and cause trouble. If you have a tool manufacturer that is only producing a quality tool even 95% of the time, that might seem ok, but that means that 5% of the time you suffer something wrong on the machine. Many times, you won’t know where that trouble is coming from. This causes you to pause the machine, investigate, source the problem, and then ultimately switch the tool and create a new program. It becomes an ordeal. Sometimes it is not as simple as manually adjusting the feed knob, especially when you need to rely on it as a “proven program” the next time around. So, say the probability of a shortcoming on a machine is “x” with one brand of tooling, but is half of that with a brand like Harvey Tool. Sure, the Harvey Tool product might be 10-20% higher in upfront cost, but that pales in comparison to buying cheaper tools and losing time and money due to machine downtime caused by tool failure. The shop rate for an average machine is right around $100/hour, so machine downtime is much more expensive than the added cost of a quality tool. Inconsistent tool quality can be extremely dangerous to play around with, even outside of machine downtime. We create based on a specific tool and a certain level of expected performance. If that tool cannot be consistent, we now jeopardize an expensive part. The machine never went down, but the part is no good because we programmed based on consistency in tool quality. Again, the cost of scrapped parts heavily outweighs the upfront cost of quality tooling. Tooling is a low cost of what we do here, but poor tooling can cost us thousands versus a few dollars more for quality tools. Too many people focus on the upfront cost, and don’t look downstream through the rest of the process to see how poor quality tooling can affect your business in a much bigger way. We get to see the whole picture because I am involved from cradle to grave, gaining feedback and knowledge along the way. That’s great feedback Brad, and I think it is important for people to understand what you have laid out here. 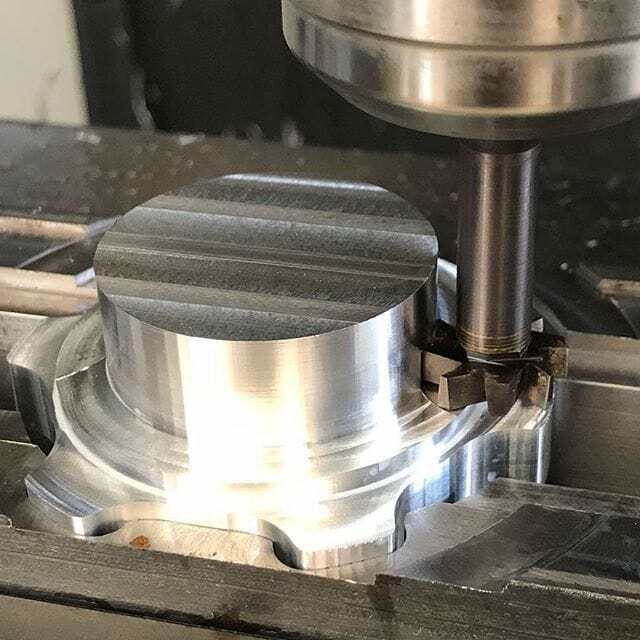 Speaking of tool performance, have you guys been using High Efficiency Milling techniques in the shop? Absolutely. We feel that we are on the front edge of efficient milling. We are quite capable of all the latest techniques, as our programmers are well-versed and up to date. For our larger production work, we have programs dialed in that allow us to push the tools to their limits and significantly cut down our cycle times. What advice would you have for others who are interested in High Efficiency Milling? Make sure you are smart about using HEM. If we have one-off parts, particularly expensive ones, that do not have time restraints, we want to make sure we have a safe toolpath that will get us the result we want (in terms of quality and cutting security), rather than pushing the thresholds and taking extra time to program the HEM toolpaths. 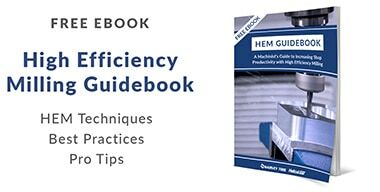 HEM makes total sense for large production runs, but make sure you know when to, and when not to use these techniques to get the most out of HEM. 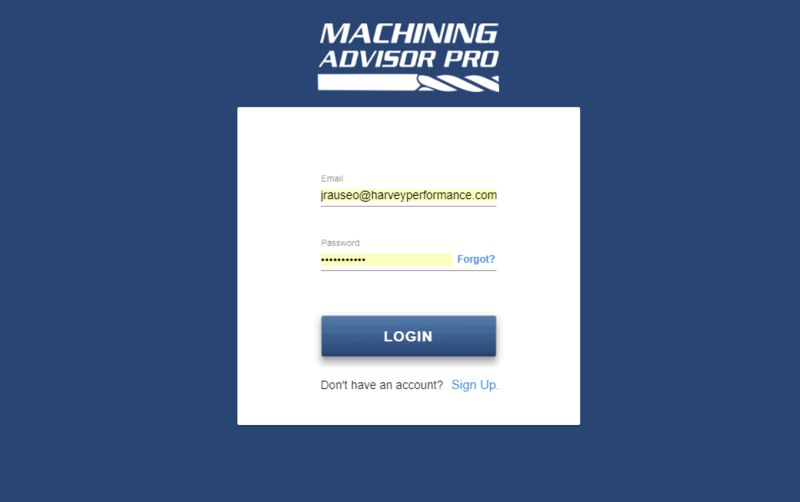 Have you been using Machining Advisor Pro in your shop when you run Helical end mills? We have been, and it makes for a great point of reference for the Helical end mills. It has become a part of our new employee training, teaching them about speeds and feeds, how hard they can push the Helical tools, and where the safe zones are. Our more experienced guys also frequent it for new situations where they have no data. Machining Advisor Pro helps to verify what we thought we knew, or helps us get the confidence to start planning for a new job. If you could give one piece of advice to a new machinist, or someone looking to take the #PlungeIntoMachining for the first time, what would it be? Learn the intimacies of metal cutting. Get ultra-familiar with the results of what is actually happening with your tool, your setup, your part, and your machine. As well, don’t be limited to thinking “it sounds good,” or “it’s going good so far, so that must be acceptable.” In order to push the tools and confirm they are performing well and making money, you need to identify and understand where the threshold of failure is, and back off the right amount. This doesn’t end here though. Cutting conditions change as the tools, holders, machines, and parts change. Learning the nuances of this fluctuating environment and adapting accordingly is essential. Verify your dimensions, mitigate against risk, and control the variables. Also, get intimate with what causes tools to succeed and fail, and keep a log of it for reference. Develop a passion for cutting; don’t just punch in and punch out each shift. Here at B&R, we are looking for continuous improvement, and employees who can add value. Don’t stand around all day with your arms folded, but keep constant logs of what’s going on and always be learning and thinking of how to understand what is happening, and improve on it. That is what makes a great machinist, and a successful shop.